Welcome to our Resource Center! Please check our archives to be inspired by some of our program’s projects and prompts. Future Poet Laureates may use this section to hone their craft, brainstorm ideas for their community service project, or even consider reviving one of our previous programs. Thanks to our past and present leaders on these projects for their contributions, in particular Dr. Chris Bursk, Liz Rivers and David Simpson. The mission of Poetry Noir is to explore the universal moments presented or “spoken” in Black-and-White films with poetry writing. We will feature a film clip and challenge you to observe the film and to capture in words the poetry evoked by the cinematic moments. For more information visit the website. Student Poetry Noir was developed as a resource for students to take part in the Poetry Noir challenges. These are film clips that universally speak to all age groups (obviously some in different ways than others). For more information visit the website. MCPL is proud to present the Online Poetry Professor with Dr. Christopher Bursk. Our mission is to make a venue for the exploration of poetry easily available and to create an online community of poets eager to challenge themselves and grow as writers. Tekpoet channels an award-winning collective of published poets and skilled artisans to foster the creative process in new and emerging poets. The goal is to create mutually satisfying collaboration between mentors and poets in the development of their manuscripts. This exciting performance combines voice and drum, two of the oldest instruments of human expression, in new and provocative ways. 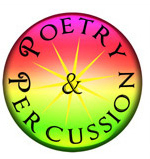 Poetry & Percussion combine words and sounds to touch the heart, conjure images in the mind’s eye, and stir the soul. A meditative mood is created in which all participants embark on a collective journey inward. Founded and directed by 2008 Montgomery County Poet Laureate Elizabeth Rivers, the PoetryWITS (Writers in the Schools) Program has been established to showcase student writing and encourage poetry teaching. PoetryWITS offers various Lesson Plans for teachers, student poetry published online, a K-12 Youth Poetry Contest for Montgomery County (PA) residents. MCPL and NHS Human Services of Montgomery County teamed up to launch 3 Workshops (1½ hours each) at WVPL in Blue Bell. Poetry & Resilience was founded by 2011 MCPL Amy Small-McKinney. The mission is to use poetry as a positive tool for helping teens discover their voices through the use of poetry; a way for youth to discover their strength and resiliency in the face of challenges. Poetry Podcasts hosted and recorded by 2007 Poet Laureate David Simpson. The Podcasts (rich media, such as audio or video, distributed via RSS) include interviews with past winners of the Montgomery County Poet Laureate Competition, as well as Celebrity Judge Marie Howe, and more. Joanne Leva, executive director of the Montgomery County Poet Laureate program, presented Elizabeth Rivers as the 2008 Poet Laureate, at Arcadia University, on Friday, April 11. In this podcast, Joanne briefly introduces Liz, who then gives a five-minute inaugural speech outlining her goals and reads two of her poems. In her capacity as celebrity judge for the 2008 Montgomery County Poet Laureate competition, Marie Howe came to Arcadia University in April to introduce the winner, Elizabeth Rivers, and to give a full-length poetry reading. Early the next morning, before rushing off to her next engagement, she met with Dave Simpson to talk about and read from her new book, The Kingdom of Ordinary Time. This podcast is the first half of that interview. As a teacher at Germantown Friends School and founder of the Germantown Poetry Festival, Yolanda Wisher talks about her passion for melding poetry and community activism, using language to bridge the divide between groups of young people of different races, classes, and cultures. The podcast includes excerpts of work by four of her students: Bouyeh Zulu, Alisha Dantzler, Moira Quigley, and Keisha Duncan.